, clic k o n "Order/Price List" or "ORDER ONLINE" links below. 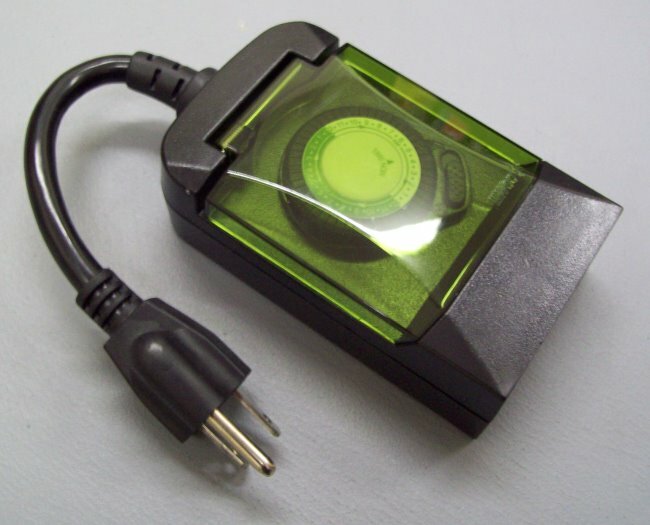 Left: 12V/1.0 Amp Outdoor Power Adapter W/cord which can be used with the ACDT-35 weatherproof 120 Volt Digital timer or any other 120V outdoor timer you may have on hand. 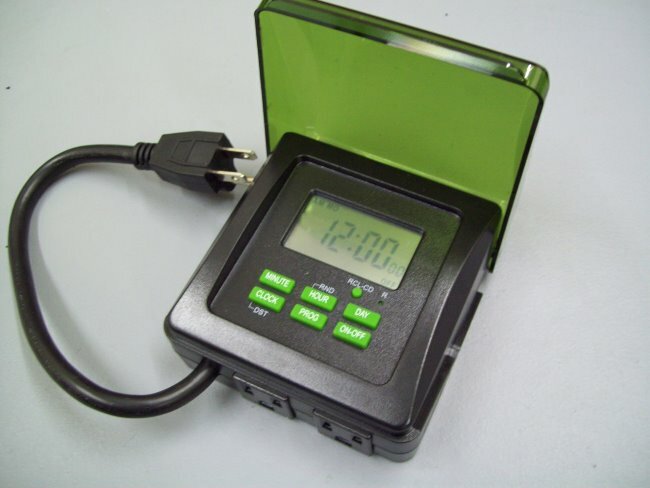 The analog ACAT-32 (far right above) outdoor timer with 48 on-off tabs can also be used. The advantage of using such a set-up is both items can be exposed to rain. 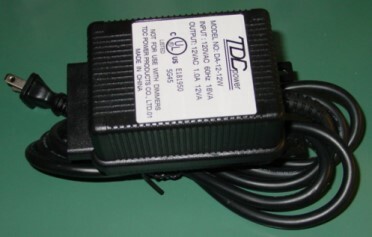 The outdoor power adapter can also trigger several feeders at one time. You can purchase or find more info about any of these items by clicking on a picture above. To order, click on "Order/Price List" or "ORDER ONLINE" links below.